Originally founded in 1931 as the “Town of Boynton Beach”, Ocean Ridge established itself in 1939 when Mayor Michael White’s daughter suggested the name be changed. Ocean Ridge is now an exclusive, coastal community town in the Gold Coast located along legendary Ocean Boulevard (A1A) that lies north of Briny Breezes, east of Boynton Beach and south of Palm Beach. 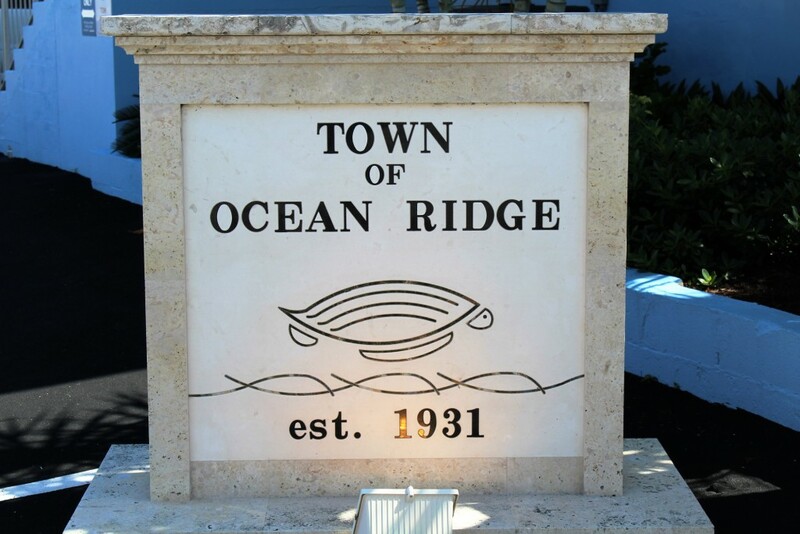 It is clear when you visit Ocean Ridge that the town is dedicated to creating and maintaining a beautifully landscaped, diverse seaside community that takes pride in its natural beauty and in its community. The homes in the area reflect this as well. With the Atlantic Ocean as its backdrop, Ocean Ridge appeals to those looking to take advantage of its charm and luxurious real estate. From oceanfront mansions to intracoastal treasures, Ocean Ridge will delight even the fussiest buyer. The tranquility it offers is refreshing and its demeanor understated. Just a quick jaunt down A1A to Delray Beach or Boynton Beach where you can find anything from quaint galleries and boutiques to big box stores, Ocean Ridge maintains a quiet, refined lifestyle that appeals to the masses. Living in Ocean Ridge will entice you with its picturesque scenery and its calm ocean breezes. If you are looking for a distinguished, beach lifestyle then look no further – You have reached your destination! Ocean Ridge a hidden jewel of waterfront living, one of the Gold Coast’s best kept secrets.